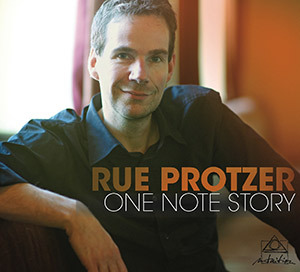 Protzer´s second Rue de Paris project once again proves his enlightened and sensitive artistry both on acoustic and electric guitar. His interpretations of Jazz classics such as John Coltrane´s Central Park West or So Tender by Keith Jarrett display a stunning degree of sensitivity and tonal beauty – as if the tunes were played by Pat Metheny´s twin. Thanks to the characteristic warm sound of his guitar, this guitarist from Stuttgart has started an impressive career. He has now released his second album for the major Sony-BMG label, which was recorded in the legendary Avatar Studios in New York. The CD unites stars such as Randy Brecker, Lee Konitz, Adam Nussbaum or Ack van Rooyen. Rue de Paris´ first album Quiet Motion created a new quality of urbane hardbop – New York Slow continues to move in the same direction. The album is one of the best releases in recent years. 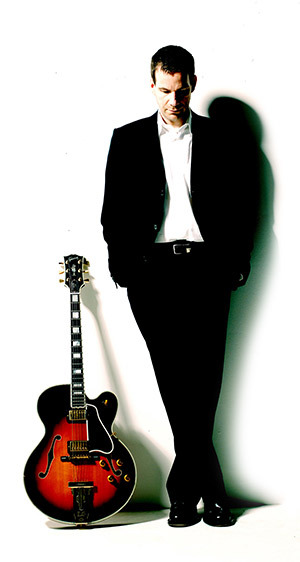 Perhaps he will soon be the guitar playing equivalent to Germany´s star trumpet player Till Brönner; Rue Protzer – who studied with gentle giant Pat Metheny and is the only German Jazz guitar player signed with a major label – unites at the age of 40 an appeal for a wider audience and musical maturity. Online Musik Magazin "Quiet Motion"
Online Musik Magazin "New York Slow"